One morning ten years ago I woke up at 4:30 am and couldn’t get back to sleep. I had the fire in me. This guy said that to have this kind of ridiculously amazing life, you have to focus solely on what are good at and amass resources to help you do the rest. All I wanted was to be an amazing comedian. But it felt like my jokes weren’t “good enough” to make that my life’s work. I struggled for years as a lone wolf in the standup world, isolating myself. Maybe I was shy. Maybe I was bitter because I wasn’t succeeding like I’d hoped. I knew most comedians spend all their time with other comedians, marinating in one anothers’ comedic juices (ah, yeah. yum.) and somehow that morning, it hit me that I didn’t have to be alone in my creative work; I could join forces with other funny people and make my jokes as “good” as I knew they could be. Suddenly something shifted. I don’t have to be alone. And the shamanic medicine journey work tipped this realization into another realm entirely: that whether the jokes were “good enough” was a moot question all together. All they needed to be was true enough. Me enough. Real enough. The sun started to rise and I felt rich beyond belief. Nothing was in the way any more of me having my dream of becoming a powerful, and hilarious comedian whose humor lightened people’s dark parts. 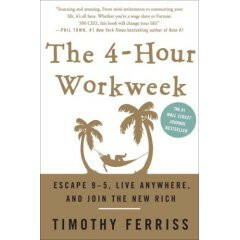 Thanks to that guy, Tim Ferris, author of The Four Hour Work Week. And then get this: Tim called me back a few hours later and invited me to his book release party at a club in North Beach that Friday night. We met, he bought me a drink. The only other person who showed up was another woman who seemed to be kind of annoyed with me, maybe because he had bought her a drink too? I had no idea what to say (other than THANK YOU) to this muscle-bound guy with the ridiculously amazing life. So I didn’t say much. Was he socially awkward? Was I boring? Was he? Who knows. After an hour I left. And then a few months later Tim Ferriss’ book exploded into the stratosphere. I feel so much gratitude for this meeting, for Tim, and for everyone who takes the lid off limits. Thank you, Tim, for opening my mind and my heart to utter abundance and good fortune. We’re not alone! And we’re rich! Do only what you love!